The use of technological advancements has already been openly accepted by most of the academe. So much of the advantages that have been shared by many educators in incorporating technology in classrooms, thus, a lot apps are made available online for you, students, to add help in the learning process. There are a thousand list of apps to choose from. However, you may find it difficult and somehow confusing which app provides you the best functionality. 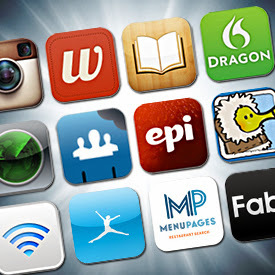 The ever-consistent on the top list being the widely used app by many, not just students. An application that lets you do almost anything just carrying with you your IOS or Android gadget. It basically lets you take notes, capture photos, do voice recording and a lot more. From taking down notes during classes, record professor’s discussion, create to-do lists of assignments or projects, it amazingly helps you get organized. Chegg. Pay less with your textbooks. An app that has over two million textbooks for you to rent or buy, on its most economical price. This is a convenient way for you to acquire academic textbooks without the hassle of going to the physical bookstore. Chegg installation is available on IOS and Android . Recordium. A recording app that works differently! This app is only available on IOS, for iPhones, iPads and iPod Touch. Recordium features its unique way of recording, as it allows you to highlight the important part while recording is ongoing. Plus, placing of attachment on any part of the recording is very doable. MyScript Calculator. The handwriting calculator just works absolutely amazing! Calculator’s features handwriting of Mathematical equations using your IOS or Android mobile phones or gadget. It is simply like writing in a piece of paper. And, just a click of it and there you go, got your answer! CamScanner. A handy way of bringing notes. The apps that lets you carry a part of your textbook. CamScanner turns your snapshot document into a PDF file. Using this application gives you a handy way of bringing a page copy of their textbooks. Turn your IOS or Android gadgets into an instant scanner! Andie Graph. All-in-one calculator for Engineering students. An app that has all that you need for any Mathematical calculations. From a stand-alone calculator, algebra, trigonometry, statistics, to calculus. Andie Graph is a very, very useful application for engineers as well for computer science student as it draws graphs, vectors, and can also compare functions. Very convenient way of solving equations. Install a copy of this app for your Android smartphone. Access your assignment, research work, anywhere at any time you want! An app that enables you to access their files via virtual hard drive. Should you need to get that research of yours left at home on your desktop computer, Dropbox can give you your homework instantly. It works conveniently in any of your IOS or Android smartphones or any gadgets. Levi is an educator and a professional speaker. He demonstrates the impact of technologies emerging within any educational system. He has promoted some publications through http://www.essaywriter.co.uk/custom-essays.aspx.